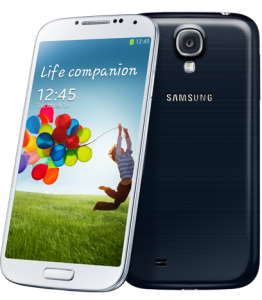 In today’s lesson we will show you how you to Factory Reset your Samsung Galaxy S4 smartphone. It’s a fairly simple process that restores your S4 back to the default factory settings. But, before we get started, let’s go over what exactly happens when you do a Hard Reset (also known as Factory Reset) on your Galaxy S4 and also some of the reasons why you may or may not want to do it. After all, we don’t want you resetting your Android device back to default settings if it isn’t necessary! What happens when you Factory Reset your Samsung Galaxy S4? It erases all the data on your phone! It will wipe all the data off of the internal storage of the device and return it to the default factory settings. This means deleting the following from your device: your Google account, system and application data, custom settings, and downloaded applications. In addition, you can also choose to have your external storage (SD card) erased as well. After the Factory Reset is complete your phone will operate in the same way it did the first time you turned it on. You’ll have to re-install all of your data and applications back onto the device. Why do a Hard Reset? 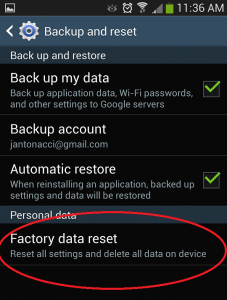 What to do before a Factory Reset? 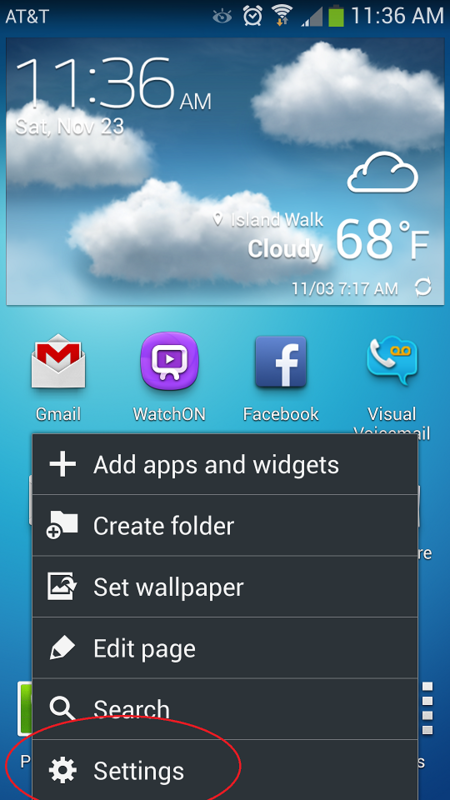 Write down a list of apps you may want to reinstall. Although the Play Store does a pretty good job of keeping track of that for you in the “My Apps” section of the Play Store! 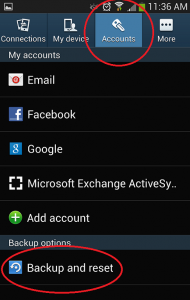 Now that we’ve got that out of the way… Below are the two separate methods on How to Factory Reset your Samsung Galaxy S4 smartphone. 1. Go to your main homescreen, Click on MENU button (bottom left). 3. 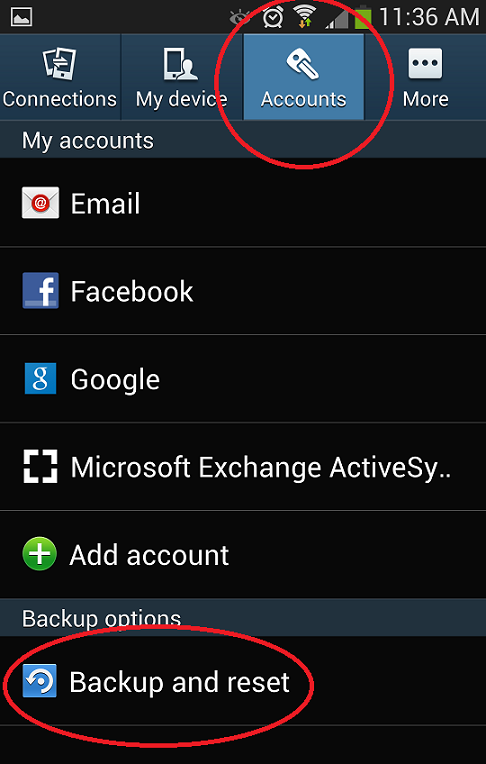 On the click on the top “Accounts” tab and then scroll towards the bottom and click on “Backup and reset” option. 4. 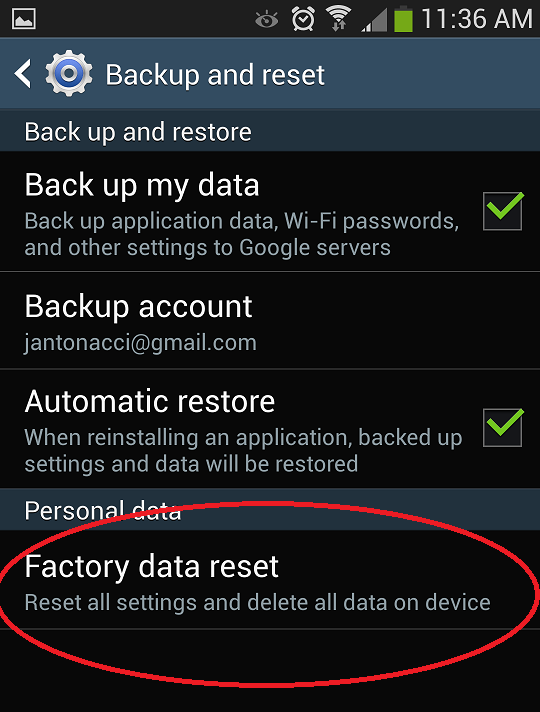 Click on “Factory Data Reset”. 5. Read warning and then click on “Reset Device” and then click on “Delete All” button to finalize the Hard Reset. 6. That’s it! Your phone will now restore back to factory settings, reboot, and provide you with a fresh start on that Galaxy S4. This is an alternative to factory resetting your Galaxy S4 if the steps above did not work. Remember, just as the steps above, this process will RESTORE your phone back to factory settings so backup your data and proceed with caution. Turn the phone off (press and hold POWER button for shutdown). Press and hold Volume UP and Home (center) button, then press and hold the POWER button until the smartphone vibrates. 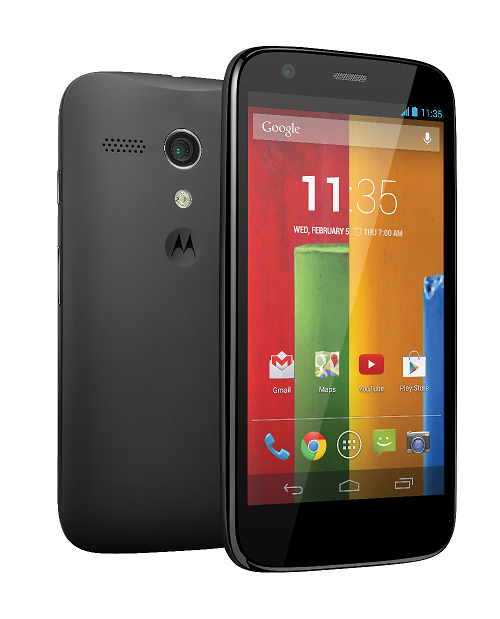 Select Wipe data/Factory reset with VOLUME DOWN and press the POWER button. Select YES…delete all user data with VOLUME DOWN and then press POWER button. After the format is complete, press POWER button again to reboot the phone. Did this article help you out? Questions or issues? Please let us know by leaving a comment below! Hi there, I have heard a lot about programs being able to pull personal info off of cell phones even after a hard reset. Is this true for a Galaxy S4? Thanks for any advice! i accidentally erased all the data in the phone storage of my samsung galaxy s4, is it just normal that after whenever i turn off or turn on my device only the android logo will appear and not the samsung logo? how can i recover such data so that my phone would be just as it was before with the samsung logo when i turn it on or turn it off?